Prepare to have a hauntingly delightful Halloween with this design on t-shirts, hoodies, hats, warm-ups and more for the little ones! 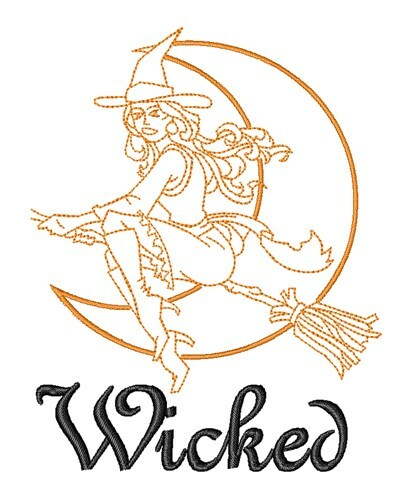 Satin Stitch is happy to present Wicked Witch Halloween machine embroidery design which has 5353 stitches and is [84.72 mm x 108.23 mm] large. If you would like to view more embroidery patterns please search on our embroidery designs page.